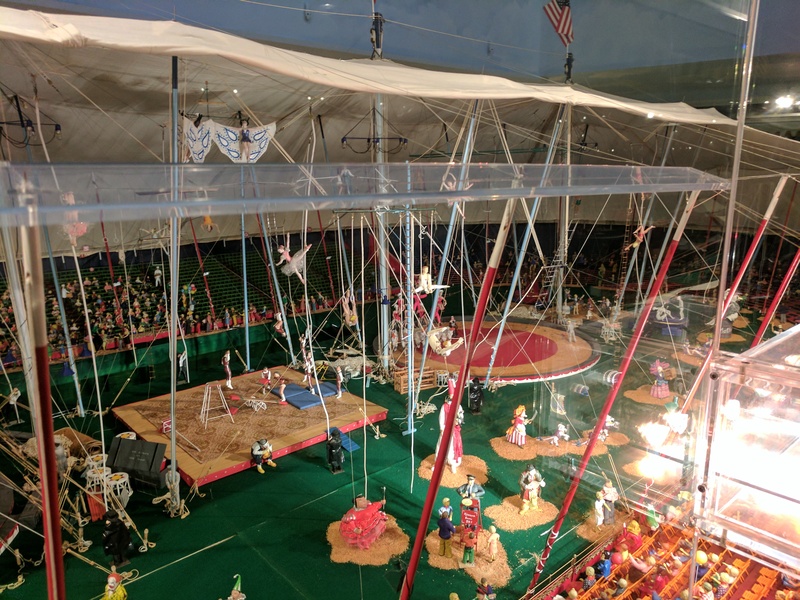 I have lived in Florida since 1986 and in May, 2017 I finally visited the well-known, fantastic, historic Ringling Circus and Art Museum—twice. Once was a “walk-through” for an upcoming bus trip I was conducting later in May. I walked around the grounds, through the Original Museum and the Tibbals Learning Center with the miniature circus, walked to the mansion and stuck my head in the first floor and walked through a couple of the 21 galleries of Art Museum and it took me over two (2) hours. I did not go completely through any of the buildings and yet was extremely impressed and excited to have the ability to go through it in more depth with the bus trip later in the month. During the bus trip and visiting in more depth the museum exhibits and the galleries and buildings of the Art Museum was both exciting and interesting and the time just slipped away. We were there for four hours and still could of stayed for more!! 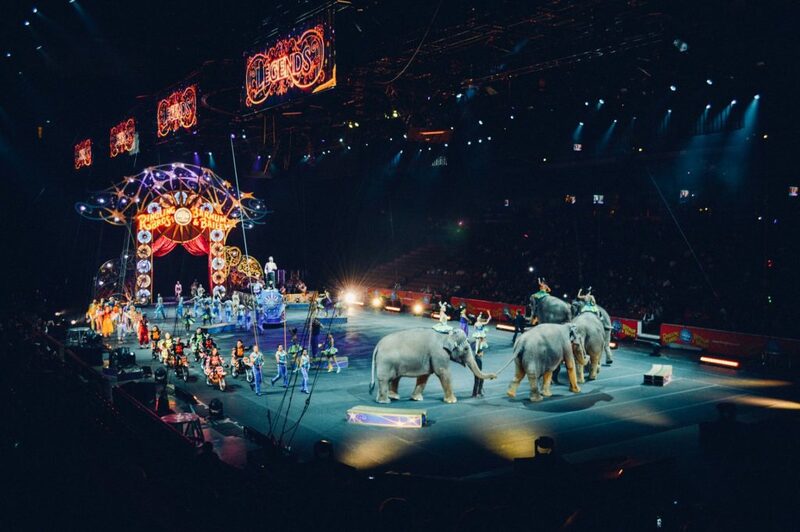 The life of the circus may be a way of life in the past, but it is still interesting to all generations in the present. Ringling Circus has stopped operating their circus on the road but you can still find out about the life of the circus and everything that was involved in transportation, acts, personnel and lifestyle. The John & Mable Ringling Museum of Art is a great museum that has been maintained and added to since it was first built by the Ringlings. In Sarasota you can visit the museum and learn all about the circus and visit great works of art collected by the Ringlings. There is a lot to see on the campus and to see everything would take more than four (4) hours. There are 66 acres of grounds and garden to visit. Photographs through the museum grounds is allowed without flash, except in the Ulla R. and Arthur F. Searing Wing which hosts non-Ringling owned exhibits. There is the Original Ringling Circus Museum building with wagons, memorabilia, and the Wisconsin Railroad Car named after the home state of the Ringling Brothers circus. This is the luxurious private railroad car used by John and Mable Ringling to travel the country for business and pleasure. It has been lovingly restored and would have been a fantastic way to travel in those days. 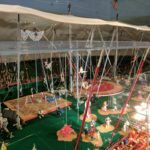 There is also the Tibbals Learning Center where there are two floors of miniatures depicting the life, setup, transportation and acts of the circus in its heyday. It includes hand-carved miniatures and videos from those days. It is so amazing what all was accomplished without all the aids of life today. Docent led tours are available twice daily. If you are into flowers, the Mable Ringling’s Rose Garden is a fantastic spot for viewing various species of roses and to hold your event. This is the oldest rose garden in Florida dating from 1913 and was likely inspired by gardens seen by Mable Ringling on trips to Italy. The garden can be reserved for special events like weddings and charity events. After passing the rose garden you can head to the water and visit the Ca’D’Zan that was built in the Roaring Twenties by Dwight James Baum, an acclaimed New York architect, and was the Ringling’s winter residence. Family, friends, politicians and celebrities came to stay during their winter residence. Guided tours are available with a Docent or you could walk around the first floor on your own. There are lots of stairs and no seating during the 40-45 minutes tour so keep that in mind when visiting. The water view is well worth the stop though. It is just so relaxing to sit and overlook the water with the beautiful mansion behind you. When John Ringling died in 1936 he left the mansion and the art museum to the people of Florida. A visit to the Ca’D’Zan is not included in the general admission to the museum but is an additional cost. In 1925 John Ringling decided to build an art museum, both as a legacy mean to outlast his business interests and as a memorial to his wife Mable and himself. 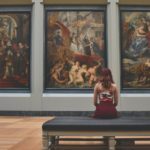 The Art Museum is a pink, Renaissance-style palace with 20 galleries enclosing a courtyard graced with copies of iconic sculptures. 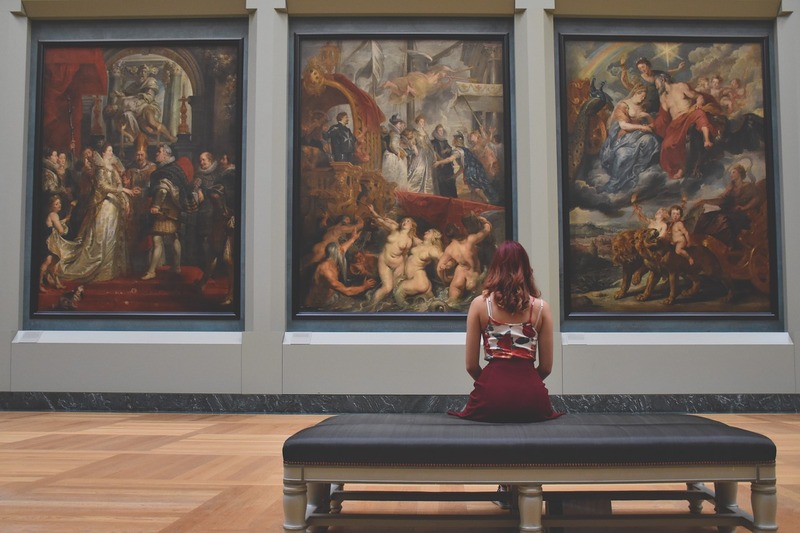 The museum opened in 1930 and is filled with European paintings, paneled rooms from the Gilded Age Astor mansion in New York, and ancient and medieval objects purchased from distinguished collections. The collection displays a lot of art by Flemish artist Peter Paul Rubens in two of the 21 galleries. Again, you can take a walk through the galleries on your own or have a Docent led tour. The Art Museum is currently included in the general admission price. In 2007 the Ulla R. and Arthur F. Searing Wing which hosts rotating exhibitions and houses the Joseph’s Coat, a Skyspace created by artist James Turrell was opened. In 2016 the Center for Asian Art in the Dr. Helga Wall-Apelt Gallery of Asian Art opened. This promotes the exploration of historical and contemporary Asian art through exhibitions, research, and programs celebrating the breadth and depth of Asian art and culture. The Keith D. and Linda L. Monda Gallery for Contemporary Art opened in November, 2016. This is the first permanent gallery dedicated to contemporary art. Also located on the property, near the Welcome Center, is the historic Asolo Theater. This is an 19th century theater from Italy and is still an active performing arts venue, featuring theater, dance, and music. If you would like to visit this historic museum, please don’t hesitate. We can help you with organize a group visit. Contact me for more information at Cruiser’s Travel and Tours, 941-979-9798 or elaine@cruiserstravel.net.